I remember, in the early days of the internet, it was impressive just to see pictures and maybe even a little sound on a website. Today web design is on another level. The graphic design of websites works to make them appealing to the eye. Then videos, testimonials, music, all get included to round out the entire package of a website. Web design in 2019 is crucial to the success of businesses. Not just to catch the attention of the consumer, but in order to even be found by a prospective client. Many websites get revamped in order to improve their SEO, Search Engine Optimization. SEO works to ensure that a website can be found by a search engine such as Google or Yahoo!. In order for the SEO to be effective, it is important that a website is designed I a manner that makes it responsive. If a website doesn’t respond properly when it’s pulled up, the user will most likely move on. Progressive Office specializes in designing websites that not only look great, but function properly. The different services that Progressive Office can provide for your business will ensure that your website not only is found by the search engine, but it will respond properly for the user. What we’re talking about here is User Experience. It doesn’t matter what your product is, if the User Experience is negative, they will not use your product or recommend it to other possible clients. Think about it for a moment. . . If you run a restaurant, and all of your servers are dirty and rude to the guests, and the orders came out wrong or incomplete, you’d have an empty restaurant. The same idea applies to web design. You need to have someone managing your web design who not only knows what they’re doing, but they need to care about the experience your client has. When Progressive Office builds a website, the first thing they ensure, after responsiveness, is speed. This is the first thing that a user cares about, whether they realize it or not. If a website takes five minutes to load, the user is going to go looking for another business whose website pops up instantly the way it’s supposed to. At the end of the day, websites are like human beings; none of them are perfect. Progressive Office always works to adjust, change, and upgrade your website as needed so that your business can stay at the top of the digital food chain. Your web design is crucial to your digital marketing strategy. It’s the first step, and no matter what you are trying to accomplish, if you can’t take the first step you will never reach your goal. Please feel free to contact us at Progressive Office at 470-430-1777. Have you ever been on Facebook and gotten thoroughly distracted from the messages your friend is sending you because you saw a video of a puppy playing with a banana peel? The next thing you know you’ve fallen down a rabbit hole of dog videos and you just keep clicking and clicking and you have no idea what you’re clicking, you just want more puppies! Well, if you’re anything like me and this has happened to you, then you have fallen prey to a form of Social Media Marketing. With each click you were actually boosting one website or another, whether you realized you were doing it or not. Social Media Marketing is a huge tool that businesses utilize to help draw in forthcoming clientele. Progressive Office can help you reach your marketing goals by taking advantage of the billions of people who use the various social media sites on a daily basis. Social Media Marketing is a tool that businesses use in order to put themselves in the sight line of their desired audience. Facebook, Pinterest, and Twitter are just a few of the social media platforms that are visited by people all around the world each day. By advertising on these sites businesses can reach people that would otherwise go through life happily unaware of the existence of these companies. If you are looking to build word of mouth, increase sales and referrals, even if you are just hoping to provide a better means of customer service and feedback, Social Media Marketing is an extremely effective tool to help you reach these goals. The services provided by Progressive Office can not only help you get your business right into the heart of the nitty gritty battle that Social Media Marketing is, but Progressive Office will also be able to advise you on which sites NOT to use. It’s important to know which social media outlets your target customers are using, and Progressive Office has the expertise to help you sort through which sites to spend your time on. One of the biggest down sides of Social Media Marketing is the time that it consumes. Social Media Marketing is a delicate flower that needs to be nurtured minute by minute not just to bloom, but to survive. Perhaps your business does not have the time or the staff or the budget necessary to allot the proper resources to your Social Media Marketing campaign. Progressive Office can not only help you with that issue by taking the time to help you build your customer base, but they can also help manage your company’s reputation, which is the end goal of any serious Social Media Marketing effort. I recently started noticing some new traffic on the websites that we host and manage. What was unusual was that the sites were showing up as referral sites on almost every one of our websites. Our sites all get traffic from Google, Bing, Yahoo and such. But the 2nd and third tier traffic usually comes from more industry specific sources. So, when almost all of our sites were getting referred traffic from a single new source, that was a bit alarming. We were the victim of Referrer Spam. Referrer Spam is created by unscrupulous marketers that create a network of web crawlers that seek out websites and create fake traffic to them. The traffic gets recorded into the analytic logs on the websites in order to fool the search engines in the hopes of creating higher page rankings for the marketers clients. The traffic that they create does not physically harm the websites. But it might damage the page rank of your site if Google and the rest decide to punish sites that don’t protect themselves against these crawlers. So, I researched how to block the Referrer Spam and found that although I can’t keep the bots from visiting my client’s sites, I can keep them from accessing the logs that record their visit. That way the traffic they are trying to create does not show up in the analytics. So, it’s like they were never there. We had three of these crawling around on our sites. They boosted the traffic but the fake numbers were not helpful. And keeping our sites clean and honest will boost our credibility with the search engines. So, I believe that this was an important task. If any of these are showing up on your site, call your website develop immediately and have them install safeguards against this intrusion. Or, call us at 202-462-4290. We will look at your site and advise you at no cost. With marketing online, an integral part of the process is tracking ROI. With over 1.3 billion active users, a treasure trove of user data, sophisticated targeting options and the opportunity to place content directly in your target audience’s line of sight (the News Feed), Facebook is a very appealing advertising platform for online marketers. And if the rapid rate at which Facebook is rolling out improvements to their advertising platform is any indication, it’s only going to become more and more appealing. 2013 was a big year for Facebook’s advertising business. The company revamped the ads platform and their Power Editor. This gave users a cleaner, friendlier interface, more useful and advanced reporting options and an objective-oriented ad experience. They also launched conversion tracking, allowing advertisers to directly attribute conversions on their websites and landing pages to Facebook ads. We’re only a few months into 2014 and Facebook has already announced the rollout of Ad Sets, which allow users to organize their ads into sets within each campaign. All these changes can make it hard to stay on top of best practices for the ad platform and ensure that your business is fully exploiting everything Facebook ads have to offer. Don’t worry: I want to make your life easier! I’ve collected the best resources on Facebook advertising from around the web with a focus on what you need to know about the platform to stay ahead in 2014. This way, whether you’re just getting started with Facebook ads or looking to brush up on new features, you’ll know exactly where to go. The world today is cluttered and busy. With millions of pages online, people have been forced to filter their content intake. They consume only the content that is relevant to them. The unfortunate bottom line is no one will read your great offer on your stunning landing page if it isn’t relevant. And, it can’t convert if people don’t read it. That’s why you need to write your landing page with all three types of viewers in mind – readers, scanners, and bottom feeders. You can optimize your landing page to appeal to each type of reader. By looking at the behavioral psychology of different viewers and how they consume information on the web, you can create an effective landing page that will result in the most conversions. 1. Readers are your most loyal viewers. They start at the top of the page and read every word throughout the post. They are your ideal viewer. However, we live in a world with increasing Internet “clutter” and decreasing attention spans. Therefore, the vast majority of your audience will not fit into this category. How to reach them – To take care of your readers, there’s just one thing you have to remember. Content is king. All you have to do to win over a reader is present clear, powerful body copy. 2. Scanners read your headline and a few sentences in the introduction. If they’re still interested, they continue to skim through, focusing on your subheadings, highlighted terms, and images to determine if a specific section is worth taking the time to read. Scanners read very little of your content, focusing instead on the words and images that visually stand out. Scanners, most likely, will make up the majority of your audience. In this article, I’ll examine the art of thinking sideways for one of the slightly more tricky marketing clients I’ve worked with. 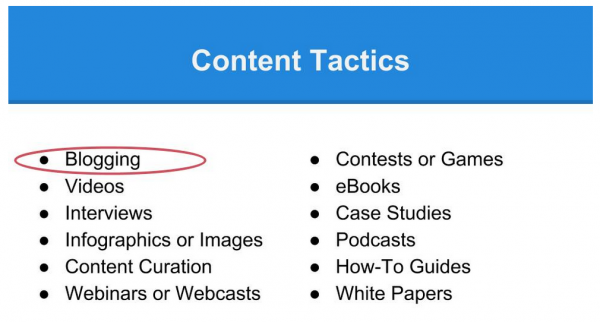 I hope that this will provide an insight for fellow content marketers and SEO’s in similar scenarios. It’s amazing what you end up finding online working in the SEO game. Some of the most obscure business sectors have thriving communities and many online magazines and publications. It’s really quite staggering. What any SEO or content marketer should know is that there really is a conversation happening online in every industry. However niche it might at first appear to be, positioning your client to become a part of that conversation is the challenge! I’ve worked on a pretty mixed bag of clients over the past two years or so. From pharmaceutical services to interior design products, and from renewable energies to our digital agency’s own efforts. But one client has really stood out in terms of being a boring business. However, this has actually become the most fun and exciting campaign I’ve worked on. We live in an age of growth hacking and rock star startups taking the world by storm. As a result, many of us focus on new customer/user acquisition, even though it can cost 7x more than customer retention. Brand loyalty is one of the most difficult assets for a business to attain. Or, at least it was. We used to have to rely on customers having a great experience with our product/service, or with our employees. Now, we can give them a great experience, but most businesses still haven’t figured out how to do it. Before we get into specific tactics that you can use to increase brand loyalty with your customers, I recommend checking out the Global Loyalty Sentiment Report from Nielsen. It’s filled with insight into what customers from different international markets and different verticals care about most when it comes to the brands/products they buy. This data could/should influence how you use each (or any) of the suggestions below. In an era of mass media, the information we get is often remote and impersonal. Especially in online advertising and marketing, the “human element” is often lost; and even costumers who go to a store or office often end up waiting their turn before being served; often by unfamiliar and impersonal strangers.